A new teaser for the 2017 remake of Stephen King's terrifying classic It aired during the MTV Movie & TV Awards yesterday, and if you weren't already certain that It would be the sort of film that will ruin your life for at least six months, this ought to make it clear. There's footage of life in an idyllic Maine town, which seems harmless until the voiceover starts: "When you're alone as a kid, the monsters see you as weaker. You don't even know they're getting closer until it's too late." Oh, OK, so that's how this is gonna be then! 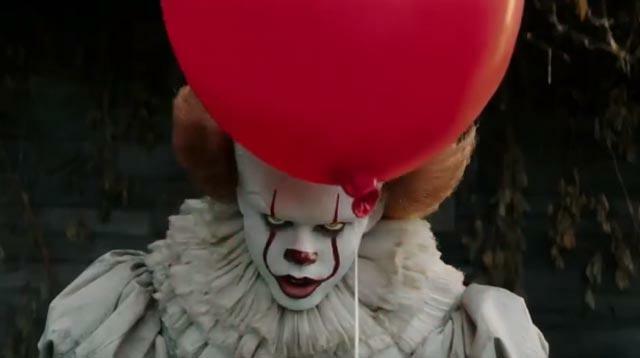 By the time the kids start exploring a sewer tunnel, all bets are off, which makes it even worse when Pennywise shows up behind a wall of red balloons. Did you like balloons before? Too bad, because they are now nothing but instruments of terror. Thanks, scary clown!! !